Activated 7.64 at Yurya, Kirov Oblast, from parts of the 107th Missile Regiment - under the 8th Missile Division. The regiment controlled site BSP-41 with 2 R-16 (SS-7) pads, which went on alert duty 16.3.64. In 1969 the regiment stood down, and the BSP-41 site was transferred to the 107th Missile Regiment. On 15.7.71 transferred to Khmelnitskiy, Khmelnitskiy Oblast, now under the 19th Missile Division. The regiment went on alert duty 10.5.74 in area BRK-8 with 10 UR-100U (15A20U) silos. Converted to the UR-100NU (15A35) and went on alert duty 9.82. The last warhead was removed 25.2.96, and the missiles has been removed by 22.12.97. 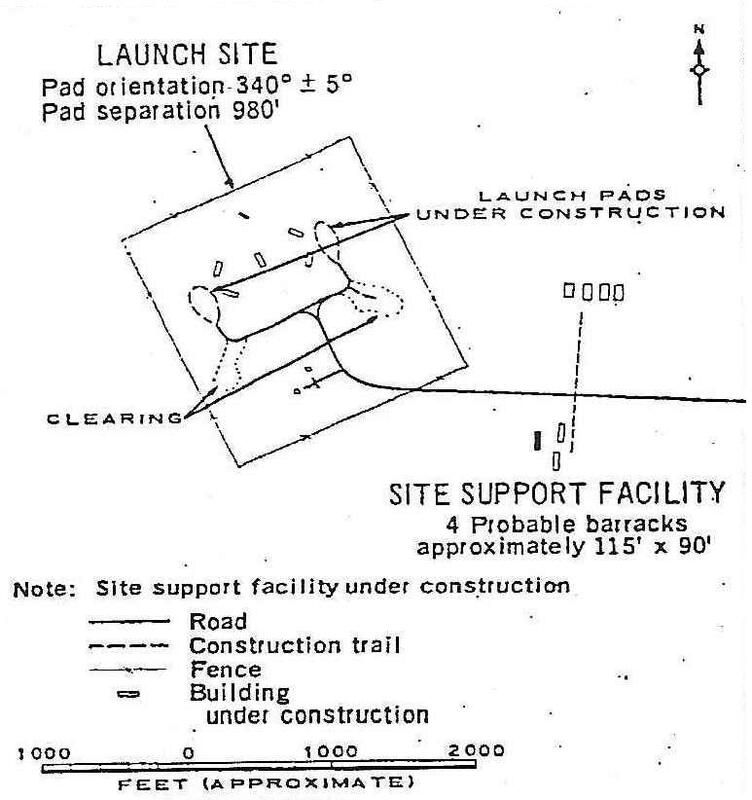 US designation 1964-1969: Yurya ICBM complex (Launch site J, later Launch Site 9). Type IID pads.